For current and former members of the British cadet force who seek an enriching experience in the security training and close protection industry. 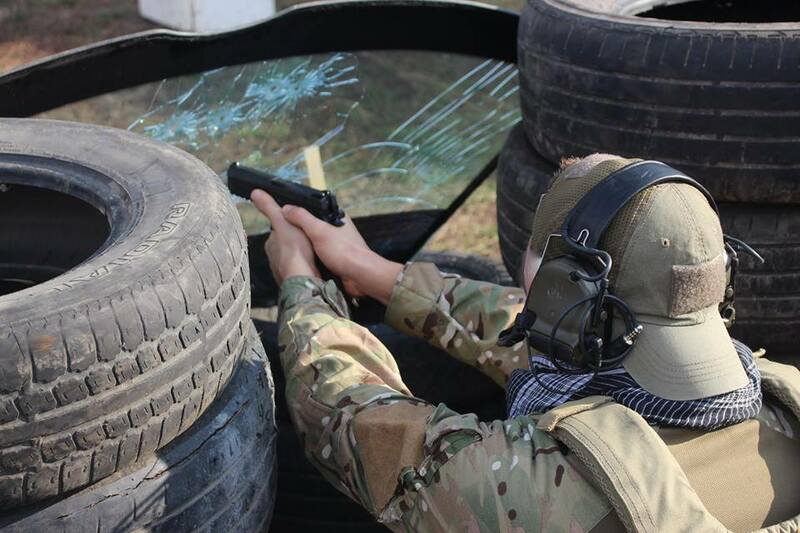 Atlas Solutions is a security training agency which offers physical intervention, conflict management, defensive tactics and close protection courses to police officers, independent security professionals and businesses seeking total security for their property and people. We are looking for interest from candidates who are familiar with the EDIP (Explain, Demonstrate, Imitate, Practice) Instructional Technique hoping to apply their skills in assisting us deliver our courses to police officers, security officers, tactical response units, and civilian security professionals. Help us deliver our syllabus to police officers, security personnel and response teams. Participate in firearms drills including moving and shooting, stationary firing and weapon maintenance. This internship will be conducted in Kuala Lumpur city in Malaysia. The internship will last between 4 - 6 weeks depending on the scale and size of our contracts. We will keep you informed for up to 2 months before the start of your internship to minimise the hassle involved. You will be paid an allowance of MYR75 a day for a 5-day working week. This is commensurate with living expenses in Kuala Lumpur. The allowance is paid weekly, either via bank transfer or cash. Our working hours 7.5 hours a day with an hours' break for lunch. Who is bearing my flight and accommodation costs? Atlas will bear the accommodation costs. We ask that the interns bear the flight costs. Exceptional circumstances for candidates may be considered in terms of economic and social backgrounds. Senior Cadet Instruction Cadre (SCIC) - Candidates with JCIC will be considered in light of other leadership responsibilities. At least 5 A* - C grade in GCSE. Your first two-days will be spent going through an induction process designed to bring you up to speed with our values, culture and ethos. Day 1 will see you settled into your accommodation and an opportunity for personal admin after arrival and pickup from the airport. You will then be introduced to our team of instructors for our current contract, and be released for the day, depending on your arrival time. Day 2 is an intensive training programme designed to very quickly bring you up to speed with our methodology (EDIP), as well as our course content and our ethos. You will then deliver this programme to our assistant instructors with support from our Senior Instructors. On the conclusion of your induction, you will likely be inserted into an instructional team which will deliver our Tactical Response Programme syllabus for the remainder of the week to observe and learn the syllabus in preparation for week two. Or, you could be deployed in our Operations team where you will hone your skills as an operations officer. The remainder of the internship will consist of either insertion into the instructional team to continue delivering the Tactical Response Programme, or, if available, participating in major incident drills, firearms training and role-playing - please note that this schedule is highly dependent on client requirements and company resources. It may change with or without notice. Wow, sign me up! How do I get started? Fill in our contact form to get started - ask any questions you like and we'll respond usually within a day or so. We'll also ask for your CV as well as scanned copies of your cadet-related qualifications.